When it comes to endurance and energy efficiency, Thermoseal has you covered. 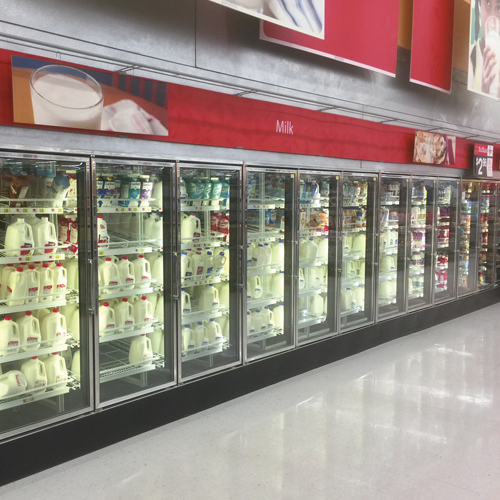 Thermoseal glass doors combine the latest technology, premium materials, and design features to meet the demanding requirements of Supermarket / Restaurant / Convenient Store Industries. 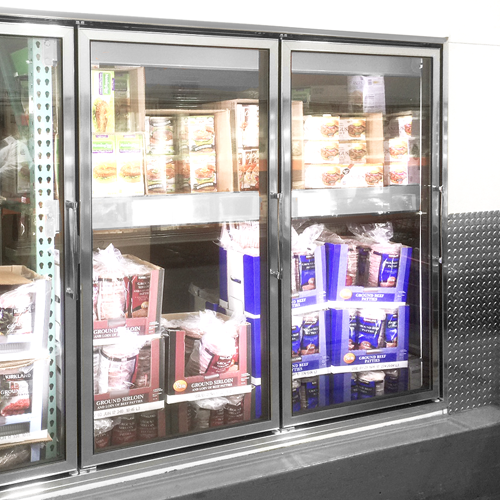 The 1400N “Narrow Rail” and 1400W “Wide Rail” are both number one answers for your glass swinging cooler and freezer door needs. 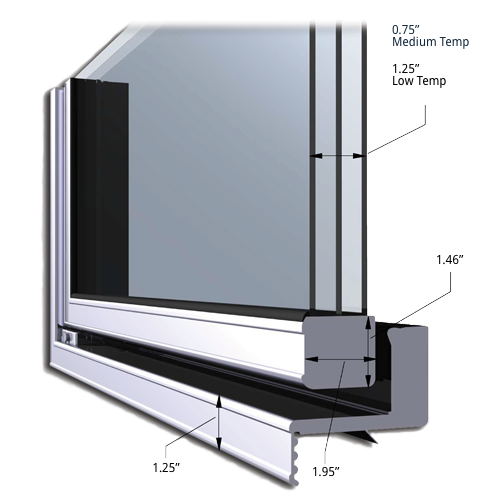 The 1400N and 1400W offer a traditional appearance with exceptional thermal protection and are built to last. They are available with a wide variety of options and finishes which will surpass all of your expectations. 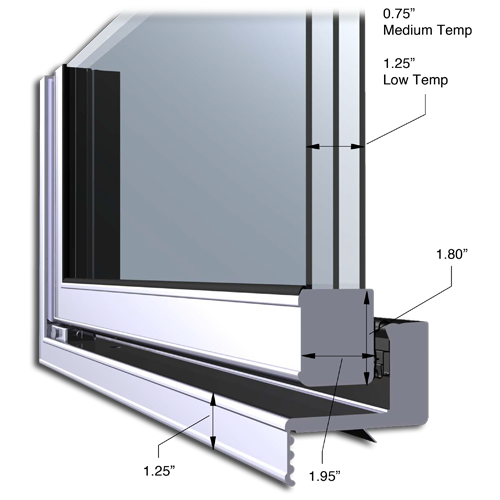 The 1400N and 1400W are not only great product options for your glass door application but are also excellent replacement options for your existing glass door needs!